Our care plans give you the peace of mind that your website is in good hands. We have a collection of tools to ensure that your website is optimized, secure and up-to-date. Our goal is to ensure that your website is cared for so that you can focus on what you do best…grow your business. 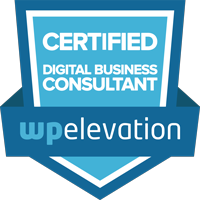 Custom Training: You will have access to our custom WordPress training videos that will teach you how to make updates to your website. Blog: We produce regular articles that are specific to what our clients would find informative. Consulting Calls (included in Web Manage and Web Master): Consulting calls are great for strategy sessions, live editing, or any other type of training needs. Do you offer Care Plans for websites that you didn't build? Although these plans are typically for websites we build or re-design, we welcome clients who are looking for a long term relationship with a dedicated webmaster. We first like to do a Website Audit and Review to become familiar with the website, how it was built and any potential issues that can arise. With the evaluation we will perform all the “Website Updates and Monitoring” tasks and make a full backup. Most importantly we will make a list of issues to fix and suggestions for improvement needed in order to proceed with the website on a monthly plan. Website Evaluations are completed for a small fixed fee. Creating a support request is easy. 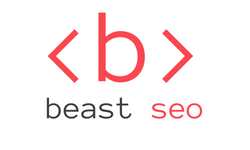 Just email us at support@beastseo.com and a ticket will automatically be created and tracking set up to manage your request. What type of updates do you perform on my website? We update all core software and installed plugins on your website. Commercial themes and plugins should have a license key or they cannot be updated. Development time can be used for small tasks such as adding text, images, pre-written blog posts or any other task that can reasonably fit into the care plan’s allotted hours. Adding image galleries or custom forms generally need to be treated as a separate project unless you are part of Web Partner care plan. How long does it take to complete my changes? It depends on the number and the type of changes requested. It may also depend on how busy we are on that given day. Our goal is 24-48 business hours upon receiving the change requests. You’ll get a unique ticket number so you can track communication and status. Like a lawyer’s retainer, the monthly time is there for you every month to reserve your place in our queue and our resources, therefore it does not rollover. You can take comfort in the fact that what your request within that 60/180 minutes of time (depending on your plan) will be addressed by our team with priority attention. What happens if my website goes down, breaks, is hacked, etc? The whole purpose of our client plans is preventative care, so we hope to prevent anything from happening. However, in the case your website meets the unfortunate end of a hack or breaks down, we will be there right by it’s side communicating with the web host on your behalf. We cannot promise your website will not be hacked but can promise we will do everything in our power to prevent it, as well as assist in the restoration and cleanup of the website with one of our backups. If you have signed up for our Web Partner care plan we will fix your website at no additional cost to you, otherwise hack cleanup will be charged at our standard hourly rate. We do not host websites but we can refer you to a reliable website host that we trust will do a good job for you. We will work with them to get your site up and running and will monitor its performance for you. Yes, we view training as a critical aspect of all our projects. If you subscribe to our monthly care plans you will have access to WordPress video tutorials and our dedicated team of WordPress professionals.